Just thought that you might want to know that the World Barista Championship (WBC) for 2009 was won by Gwilym Davies from the UK. That means for all those people who thought the UK was behind in making good coffee, they are wrong, because for the past 3 years all the World Barista champions have come from the British Isles, so head over to London for the best espresso. OK ! seriously London is where it’s at for the following reasons when it comes to the WBC – check this connection: The WBC champion for 2007 was Jim Hoffmann from the UK and the 2008 WBC champion was Stephen Morrissey from Ireland and they both set up the coffee roastery, Square Mile Coffee Roasters with Anette Moldvaer – 2009 WBC sensory judge. Now ! the 2009 WBC champion actually runs espresso carts in London and guess where he buys his coffees from, Yep ! 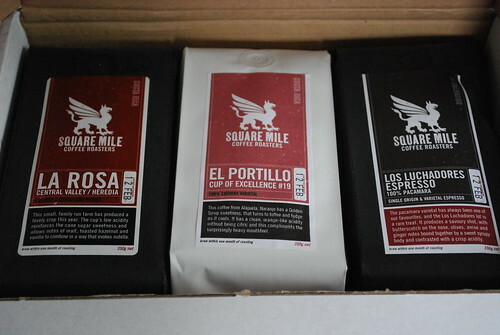 Square Mile Coffee Roasters – wow ! what a connection. I learnt about this connection from Square Miles blog, so check it out for more in-depth coffee stuff, http://www.squaremileblog.com One thing that’s new for the WBC is that the machine sponsors have changed – the espresso machines are no longer sponsored by La Marzocco but by Nuova Simonelli and the coffee grinders are no longer by Compak, but now by Mahl Konig. For more about the WBC, check out their website on http://www.worldbaristachampionship.com/index.html. 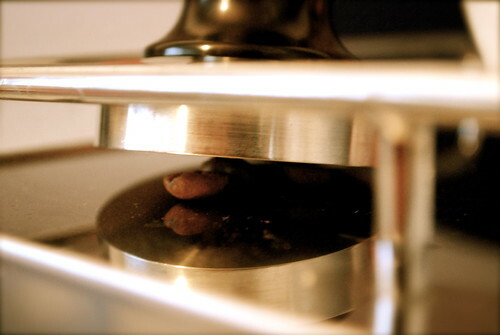 This entry was posted on Thursday, May 28th, 2009 at 11:10 pm	and tagged with Mahl Konig, Nuova Simonelli, Square Mile Coffee Roasters, World Barista Champion and posted in Coffee News, Thoughts. You can follow any responses to this entry through the RSS 2.0 feed. « I’m Drinking Origin Coffee Roasting coffees….